Gypsum is a sedimentary rock and a crystalline mineral. “Gypsum is a soft, white to gray, "chalky" mineral composed of calcium sulfate and water,” says Raymond Anderson of Iowa’s Department of Natural Resources. Gypsum’s chemical symbol is CaSO4•2H2O. 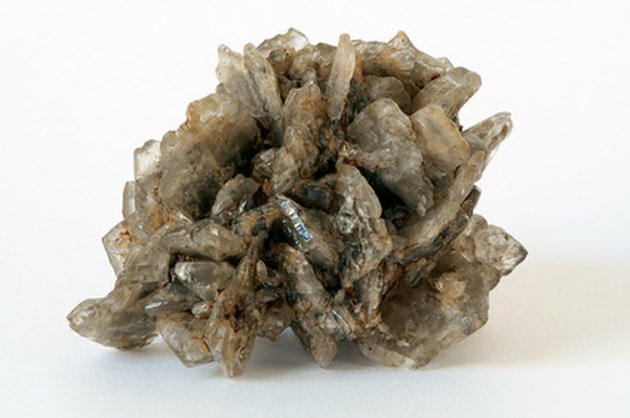 Found in many parts of the world, it can occur as crystals or as deposits in beds. Gypsum is made up of oxygen, sulfur, calcium and water. As evaporation occurs the sulfur is not protected by the water and oxygen contacts sulfur bonding with it to form a sulfate (SO4 2). The sulfate then bonds with calcium (Ca) and water (H2O) to create gypsum. 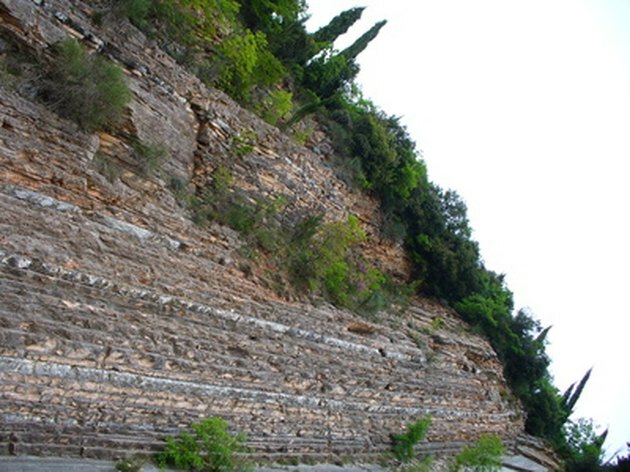 Sedimentary gypsum beds were formed during prehistoric periods in earth’s history. The vast beds in Michigan were formed over a period of 15-20 million years and stopped forming 390 million years ago according to Charles Davis in his book, “Readings from the Geography of Michigan”. Gypsum formation did not stop in prehistoric times. Gypsum crystals still form when minerals crystallize as water evaporates. Gypsum is also found as a by-product of scrubbing sulfur from fossil fuels. Gypsum can form anywhere where the right combination of mineral elements occurs and evaporation happens. It occurs as clumps of crystals or in thick beds. Gypsum beds were formed in shallow sea basins. These geologic areas are called evaporation basins because as the climate changed from tropic to arid the water evaporated concentrating the minerals it held. 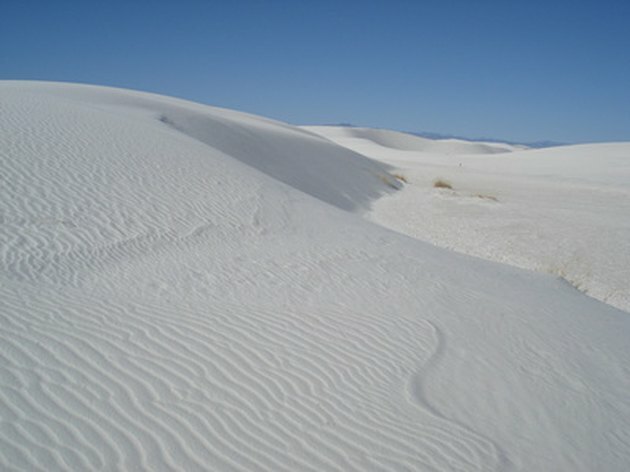 Gypsum formations can also occur in tidal flats along coastlines, in lagoons, deltas, hot springs, volcanic areas, desert water tables and even on plant roots. “Gypsum is an evaporite, which means its crystals form during the evaporation of water,” the San Diego Natural History Museum tells us. Gypsum forms whenever evaporation crystallizes the necessary minerals. In the case of "desert roses" gypsum crystals found around the world in arid sites, formation occurs with evaporation as the level of the water table changes. 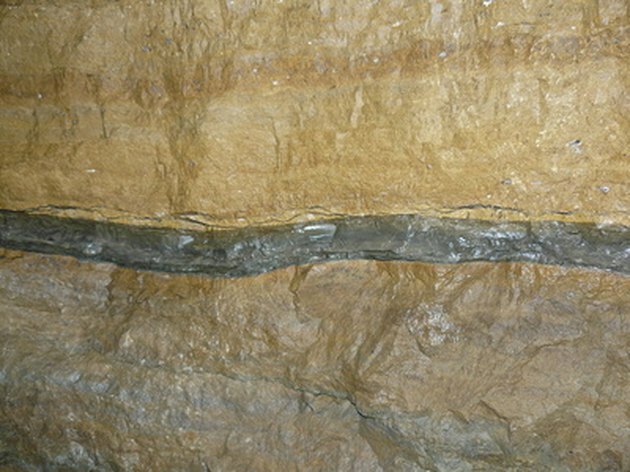 Gypsum can also be formed diagenetically by oxidation. This chemical reaction occurs when oxidation of existing sediments causes gypsum to form and replace other minerals in the sediments. Huge gypsum deposits called beds were formed when ancient tropic seas became concentrated through evaporation. 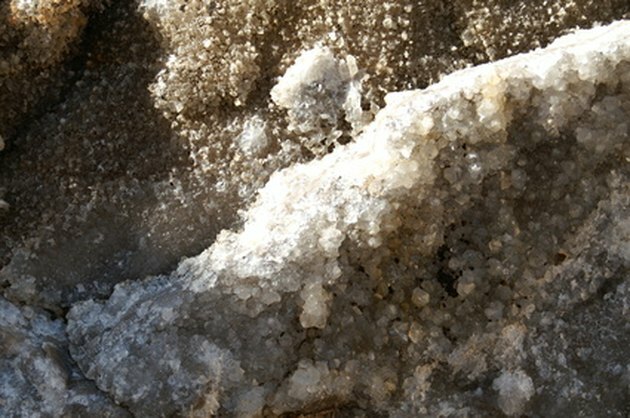 Gypsum crystals formed in the mineral saturated sea brine and sank to the ocean bed. These gypsum deposits became sedimentary rock beds when they were cemented together. Dissolved particles and decayed matter carried by water were left between gypsum grains, making the natural cement that holds sediment together. Other sand and soil was deposited on top of the gypsum layer and pressed down on it creating the gypsum bed. How Is Clay Soil Formed? 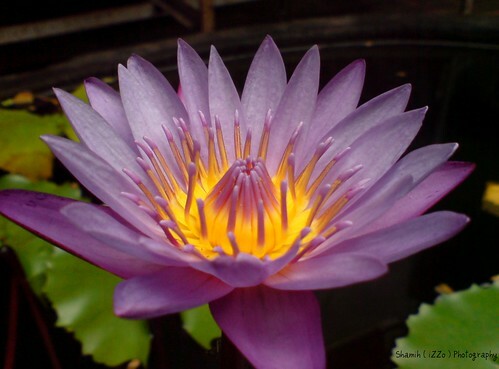 What is the Meaning of a Purple Lotus Blossom?